Hey guys just wanted to share a quick Marvel / Netflix update. 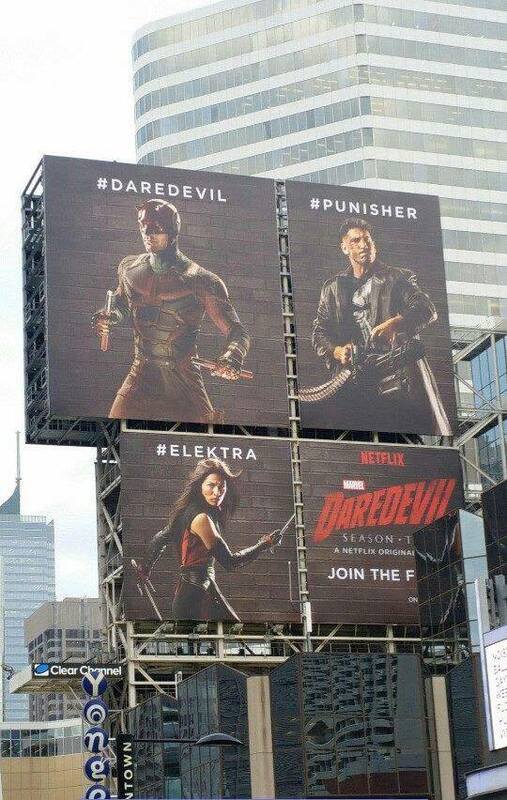 A set of billboards promoting the March 18 premiere of Daredevil season two have appeared in Toronto, and as you can see the huge images feature The Punisher (Jon Bernthal) in his classic skull outfit. Also pictured is the deadly Elektra (Elodie Yung) and of course DD himself (Charlie Cox). Check out the pic and let me know what you think.